High Quality Content by WIKIPEDIA articles! 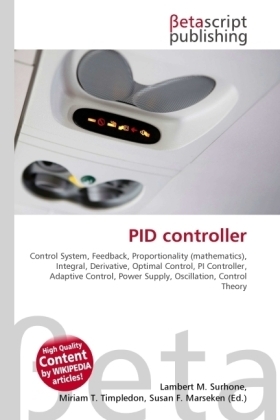 A proportional integral derivative controller (PID controller) is a generic control loop feedback mechanism (controller) widely used in industrial control systems. A PID controller attempts to correct the error between a measured process variable and a desired setpoint by calculating and then instigating a corrective action that can adjust the process accordingly and rapidly, to keep the error minimal.